I’ve been very careful with Charlie not to buy too much stuff I don’t need. We already have a house that’s bursting with toys and clothes and I definitely won’t be having any more babies. I’ve also learned from experience with my other children that sometimes less is more, especially when you already have 4 lots of clothes, shoes and bags to find homes for. However, there are some products that are just to useful not to have! Charlies Sleepyhead has completely transformed his naps. He seems to know that when we put him in the Sleepyhead it’s sleep time, and generally goes down very easily. I would 100% recommend anyone having a baby to buy one. 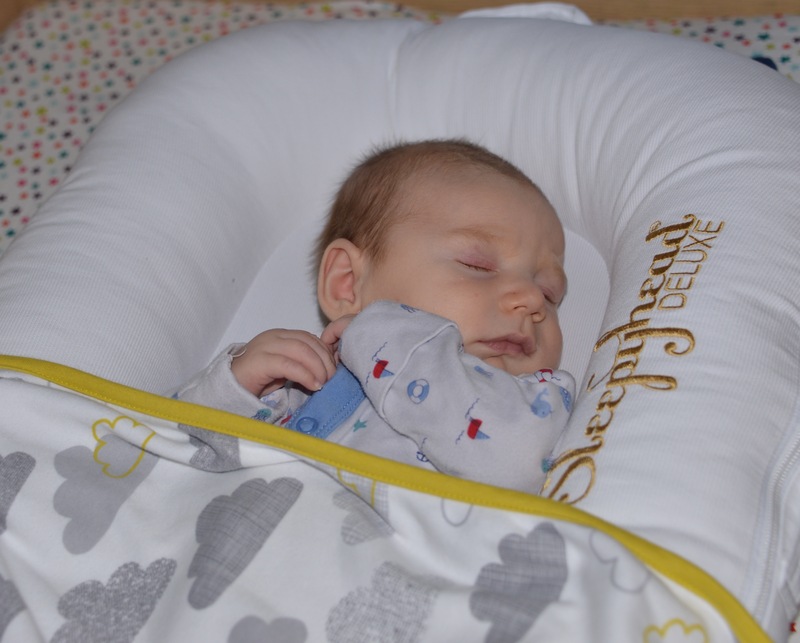 We were sent the deluxe model to review, but I am going to buy the Sleepyhead Grand as I love it so much. Charlie loves his dummies. I always thought glow in the dark dummies were a bit of a gimmick, but actually it makes me smile every night when I can find it easily in our bed. A few seconds of dummy hunting can be the difference between Charlie going back to sleep or nor. Priceless!! Don’t forget a dummy clip too! 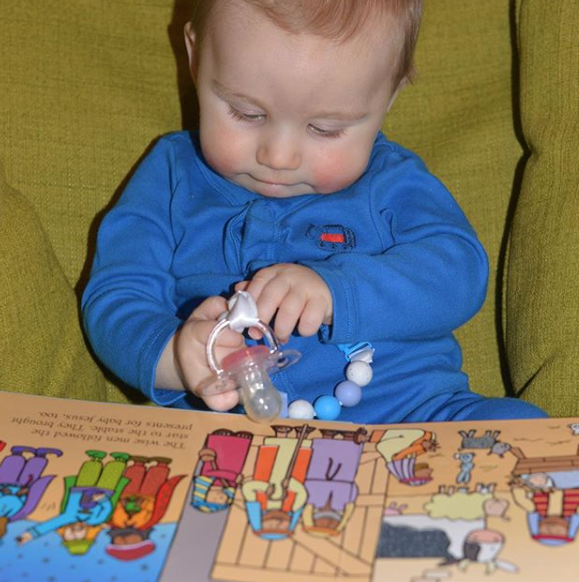 We love this one from Nibbling as Charlie can have a good chew when he gets bored of his dummy and it’s non toxic BPA free material. 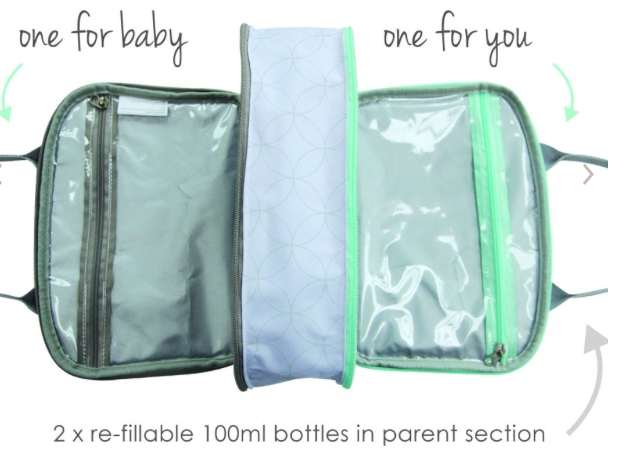 This brilliant wash bag from CuddleDry has two sections, one for baby and one for Mum with wet and dry areas in each. I’ve been using it in my changing bag to carry breast pads and cream for me in my half and wipes and bibs for Charlie. The wet area is brilliant for keeping soggy bibs and wipes away from the other contents of my bag, and it means I’m not scrabbling around looking for things when I need them. We’ve just booked a holiday away, so I’ll definitely be using it for that too. 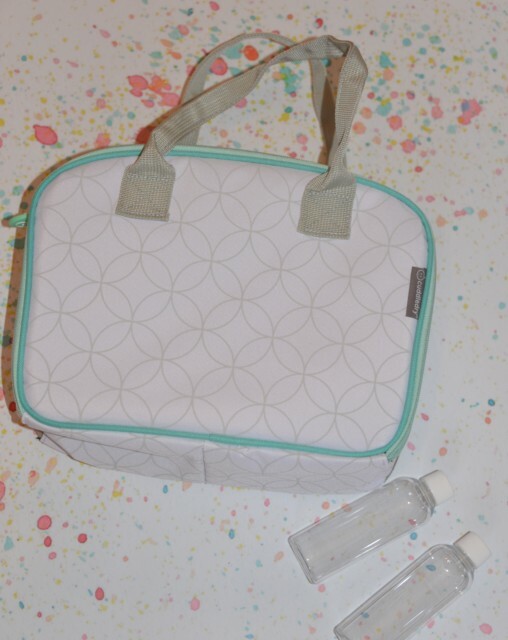 Charlie has lots of teeth already and I like to keep his brush well away from my toiletries, so the Baby & Me bag is perfect! Charlie was incredible sicky in the beginning, so a giant muslin was a a lifesaver. I’ve used it to wipe up sick, to give me some privacy when breastfeeding in public and even as a sunshade. The bigger kids have now taken to using it to build dens with! It’s been a very well spent £15! Which baby products have you found to be invaluable? We were kindly sent the Mummy & Me Wash Bag to review. The Sleepyhead looks like a great gift for my sister’s new-born. I’ve been seeing a lot of reviews of it lately. I think it will also avoid that overnight crying because of its comfort!